A few pictures from the ultra-secret project. 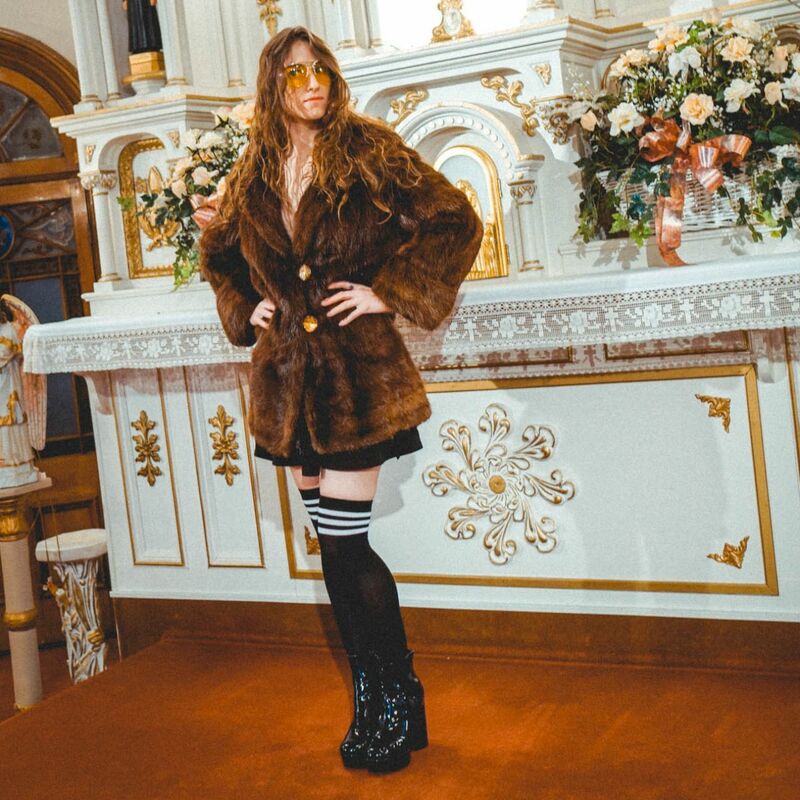 I wear some yellow shades, a fur coat, high socks, a skirt and nothing else. For the time being, I can not tell you more. See what took place in the Church.